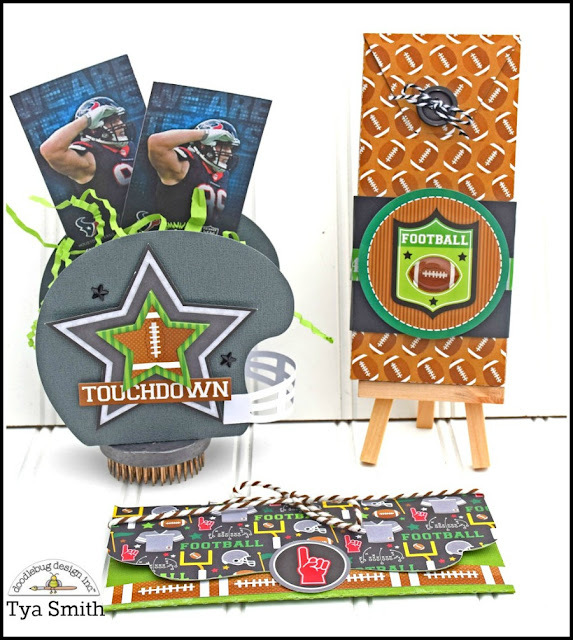 Hi there Doodlebug friends - its Tya here and I am up on the blog today showing you my project featuring the new Touchdown collection from Doodlebug Design! What a fun collection this is for your grid iron fans! Since this is the time of year we begin thinking about gift giving for the upcoming holidays, I thought that I would give you a few ideas on some fun ways to give sports tickets. 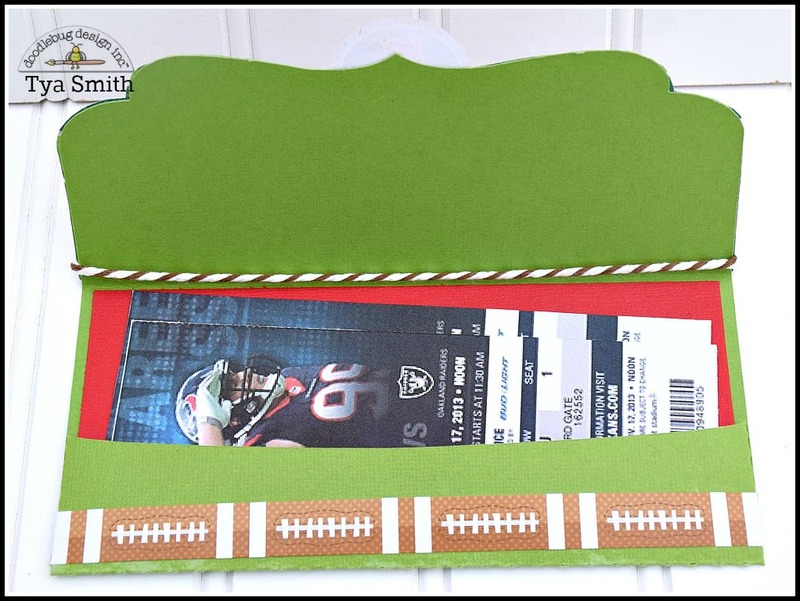 If you have a sports fan in your life who you are planning on giving tickets to, why not make a fun holder to put them in. Envelopes are so boring - these are sure to please! I used my Silhouette Cameo to make these holders. I loved pairing the awesome papers and embellishments with a fun box and 2 other holders. 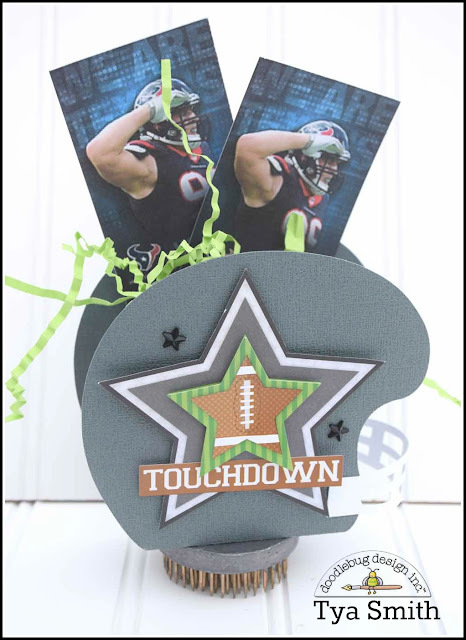 The first holder is this cute football helmet. If you'd like to make on of your own I used this file: Football Helmet Treat Box. I cut the star out of one of the 4x4 papers and glued it to the front of the helmet. I added a touchdown word sticker and some black star jewels to complete the box. The next holder is a simple money holder that I placed the tickets in. I used this file: Money Card Holder. I decorated the front panel with some cute pattern paper and added a foam finger sticker for the closure. I added a football border sticker from the This and That sticker sheet along the bottom edge of the envelope. To finish it off I added a bow using the adorable Bon Bon chunky twine. The last holder is a fun slider box that I just fell in love with. I thought the pattern paper with the footballs and the football texture was the perfect fit for this fun box. I used this file : 3D Sliding Money Holder Box. I added a black cardstock belly band. I added a strip of gridiron washi tape to the belly band. I then added a sticker from the This and That Sticker Sheet. I also added one of the Football Sprinkles Shapes to the sticker front for some dimension. I topped the box off with a Beetle Black button and some black and white bakers twine. That's all there is to it! And these don't have to be just for football. Feel free to substitute any of the other amazing sports lines that Doodlebug has to fit your sport tickets. 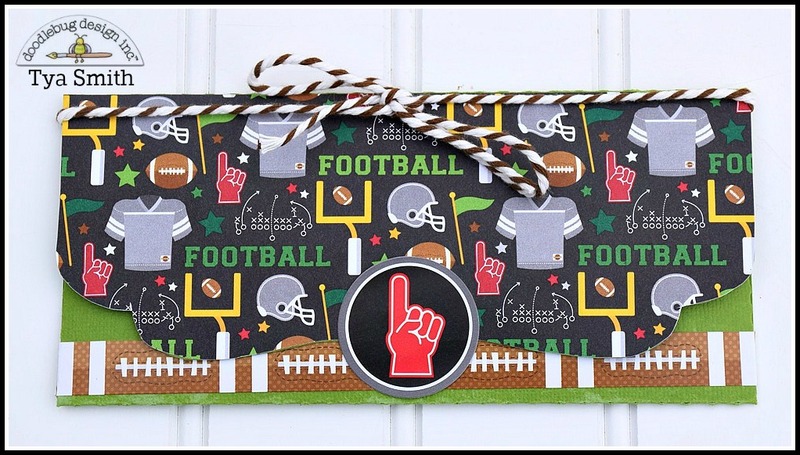 Your sports loving fan will love the extra touch you added to make their present special just for them! Happy Crafting! These are such a fun idea! 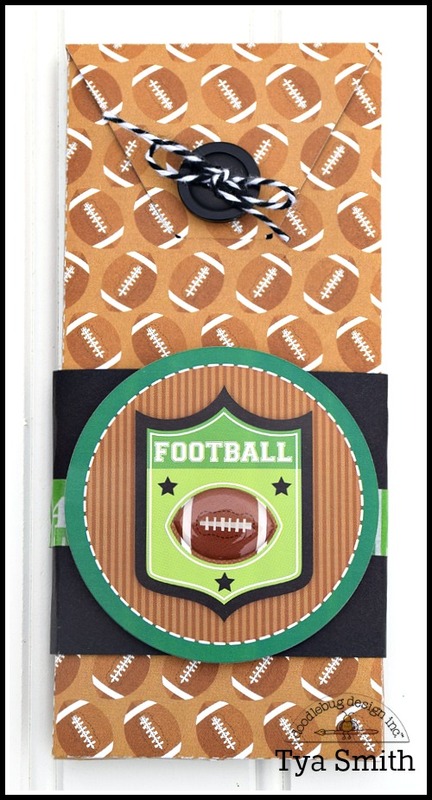 They would also be great for gift cards for those sports fans, thanks for sharing! 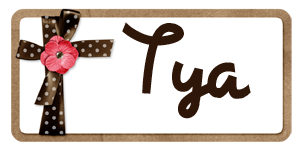 This is such an awesome idea Tya! !